This is one of those found objects that truly puzzles me. 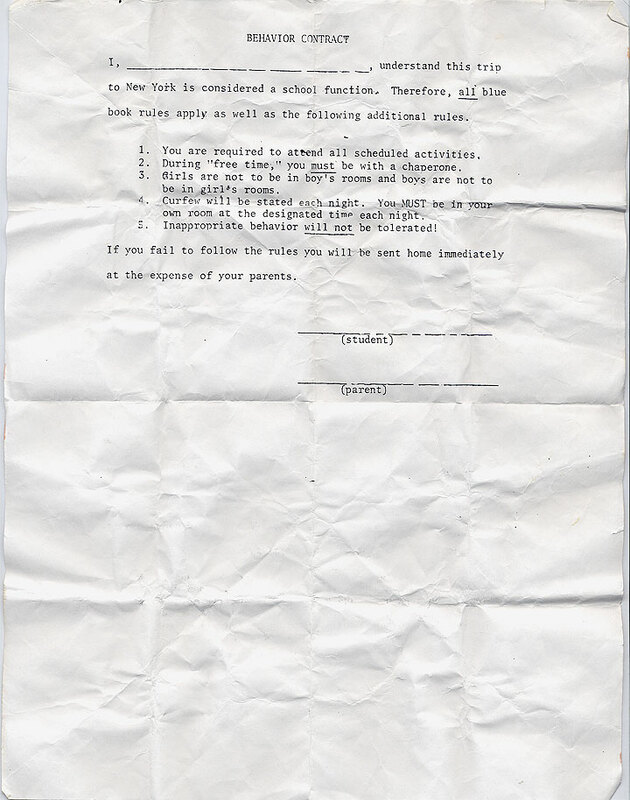 Why did I hold on to this, “Behavior Contract?” I feel like it was for my 9th grade orchestra trip to NYC. Did I turn one in at all? Oh well, here’s another great found object.